The Bing search engine is a genuine alternative to Google Search. One reason is that Bing is built into Windows 10, but isn’t one of those Microsoft products that gets jammed down your throat. 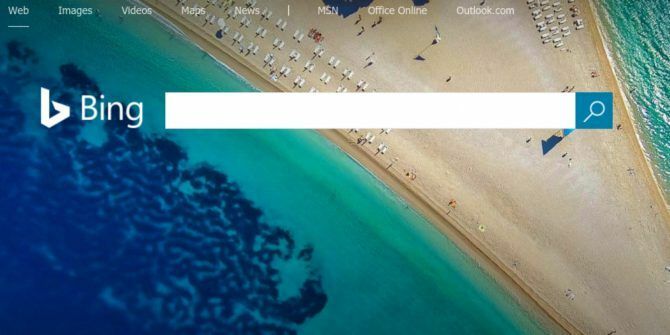 It can be genuinely useful if you know how to use it, and one of its more useful features is Bing Images. From the rich Bing Image Feed to Bing’s Trending Images, the image search engine has lots to keep you engaged. Here are three useful tips if you want to get more out of Bing Images. A new image feed every day isn’t very useful. Bing allows you to personalize your image feed with a simple click. Search for your favorite topics on Bing Image Search. Click the [+] to save your favorite results under My Saves. Bing interprets these saves and tailors the search results to match your interests. You can always tailor this visual feed around a specific project. Delete all the saved images when you are done and start afresh when on a new project. Do a Bing Image Search and choose a photo with the object you would like to examine more. Click the magnifying glass icon on the upper-right of the image to display the bounding box. Grab the corners and resize the box to target the object within the image you would like to search for. Bing displays a panel with related images. You can sift through the results and identify the specific object. Bing Image Search allows you to use reverse image search, but it also has a nice little information box describing anything or anyone it recognizes in a photograph. It can be a celebrity or a historical figure or even a plant or an animal. The information box displays a snippet of information you can use to dig further. Explore more about: Image Search, Microsoft Bing. Dear Ben, your top two backup software solutions for Windows XP are made by the same people, Chengdu something. They are out of China. Do you feel secure using a Chinese software product? Might they have put something in it that would give them access to your computer once you install it? Please advise.